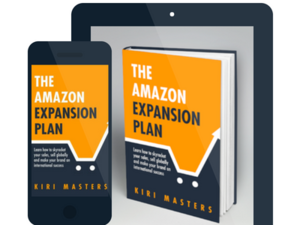 In November 2016 I published my book, “The Amazon Expansion Plan: Learn how to skyrocket your sales, sell globally and make your brand an international success” in kindle version on Amazon (naturally). It was an attempt to document all the best practices and processes that we had learnt at my agency Bobsled Marketing, as well as some of the lessons I’d learnt as a seller myself before starting Bobsled. The book covered the various platforms for selling on Amazon either as a wholesale supplier to Amazon or on the marketplace, various marketing techniques, how to initiate an international selling strategy, and the basics of brand protection. Fast forward to June 2018, when I am releasing the 2nd edition of this book. I’ll be honest, updating this was almost as much work as writing it the first time. So much has changed with Amazon in less than 2 years, and outlining the myriad new programs, policy changes, and best practices, took a lot of effort. Here are a few of the major changes that have occurred over the past 2 years. The book will be FREE to download on Kindle from June 27th until the 1st of July, 2018. I never liked Vendor Express - Amazon’s fully automated wholesale supplier portal - and was pleased when Amazon announced its eventual closure earlier in 2018. Now we are left with two primary platforms: Vendor Central (VC, for wholesale suppliers) and Seller Central (SC). But with Amazon automating as much of the buying process as possible on VC and pulling back human support, many brands which have historically been Amazon Vendors are now looking at selling on the SC marketplace. Many find that it affords more control over pricing, inventory, and the customer experience than being a Vendor. It can also be more profitable, with Amazon taking a 15% cut of sales across most categories, plus fulfillment fees. Still, Vendors aren’t always prepared to cut all ties with VC, so are opting to set up an additional SC account and access the best of both worlds. The 2016 edition of The Amazon Expansion Plan provided an overview of the various PPC campaign types on Amazon, acknowledging that paid traffic can boost organic marketing efforts on Amazon. Today, advertising on Amazon is part of most digitally-active brands’ playbooks. Amazon themselves are seeing the revenue potential of digital advertising and have been quickly rolling out new features and tools to drive more spend and brand engagement. They have hired thousands of new employees for their display advertising division, Amazon Media Group. Analysts view Amazon as an ultimate third challenger to the Facebook/Google duopoly. We have certainly given PPC pride of place at Bobsled, in terms of methods to drive revenue for our clients with almost immediate ROI. Selling products on Amazon has become a new business model for entrepreneurial types almost overnight, and for good reason - the size of the market and ability to quickly capture revenue is highly unique. Thus, Amazon has also captured the attention of bad actors and those wishing to make a quick buck. Unfortunately Amazon is limited in their willingness or ability (depending on the situation) to play policeman in their own neighborhood. Brands have learnt that they must actively defend their product catalogs against unauthorized sellers, counterfeiters, and black hat tactics that attempt to erode the revenue and reputation of incumbent brands. These are some of the major themes I have observed in updating the 2018 edition of The Amazon Expansion Plan. But there have been many more changes, both strategic and tactical in nature, that are important for any Seller or Vendor, aspiring or current, to be aware of. The new edition goes live on June 27th, 2018, and the book will be FREE to download on Kindle from June 27th until the 1st of July, 2018. For the first time a paperback version of the book will be available as well. It’s somewhat painful to recognize that in just another 6 months, there will be new material to add and changes to make - that is the nature of Amazon. But for right now, you can trust that this is the most comprehensive, up-to-date playbook that’s penned specifically for established brands looking to launch or improve their Amazon game. I hope you enjoy it! Interested in the new edition of The Amazon Expansion Plan? The book will be available on Kindle & Amazon and in Paperback right here. Thank you! Your free Kindle copy is on the way, we’ll send you an email when the book is live.